Google is constantly modifying its algorithm to sort sites based on keyword relevancy and while keywords and backlinks always have the lion's share in terms of weight, more and more seemingly minor factors are taken into account. For instance, take website speed. You might wonder what at all it has to do with search rankings but actually it is also a factor (though with minor importance, to be precise) that influences your position with Google. First, if you expected that website speed influences your rankings big time, we need to clarify that this isn't so. While the two are related, you won't find a direct correlation – i.e. low ranking sites might load fast and vice versa. The results depend on which metric you use to measure website speed. For instance, if you take into account the time needed to load the first byte of the page, then it turns out this is a huge factor because sites that are fast to load the first byte of a page typically rank higher in Google. If you take other metrics into account – i.e. the time necessary to load the main content or the time it takes to load the complete page (with images and ads), then things change because it seems these two factors are not of that importance to Google. Overall, it's believed that website speed has less than 1% effect on rankings. Google themselves have stated that they take website speed into account but they didn't disclose details about exactly what matters. Nevertheless, many sites report increase in traffic (from search engines or otherwise) after they optimize their site for speed. 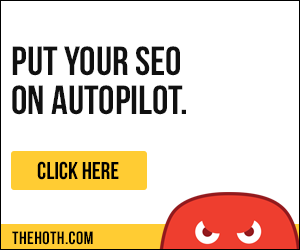 This is a pretty good reason to do the same, if your site is slow – you are not doing it for Google, you are doing it for your users, your traffic, and your conversions. Website speed is key to user experience, so if your site is slow, there is no reason to keep it that way. What's the use of getting traffic from search engines, when your visitors have to hang for 10+ seconds before they can see your content – they will have left much before the page has loaded. If you want to improve website speed, there are a couple of steps to be taken. First, you need to measure your website speed – otherwise how do you know it's slow? In order to measure load times, you need a good tool. The choice here is quite rich. Pingdom Page Load Time tool and Google Analytics Site Speed reports give a good idea of your site's general performance. WebPageTest is a more advanced tool because it allows to test your site in different browsers and spot slow areas on your site. One of the obvious reasons a site is slow is that the server you are hosting it on is slow. The reasons here could be numerous – from a web hosting provider that lacks the capacity to offer fast servers, to the type of your hosting account. The easier solution here is to upgrade your account. For instance, if you have a large site with many pages and frequent database reads/writes and you are still using a shared account, then no provider to Earth can offer the speed you need. In this case, if you are happy with the provider per se, your solution is to upgrade from a shared account to VPS (Virtual Private Server) or even to a dedicated server. The costs for VPS or a dedicated server a month are much higher than what you are paying for your shared account but if your site is making you money (or at least has the potential to), the problem with website speed is literally killing your business. On the other hand, if your web hosting provider is not good even if you upgrade your account, this won't solve your problem. The only thing you can do is migrate your sites to a good web hosting provider. Here is a list of some of the best web hosting providers for you to choose from. Your server might be fast but if your site itself is slow, you will still experience speed issues. If your code and images are not optimized for fast loading, you won't see speed improvements till you fix them. This task could take a very, very long time, especially if your code and images are bloated but you've got to do it. Website speed is not a factor with huge importance for search engine rankings, though it does count. The bigger problem with slow sites is that they are not user–friendly, which in turn kills conversions. If you don't want to lose money because of the speed issues of your site, take the time to fix them – it will pay in the long run.